The Intercept previews GTP data in "The Android Administration"
The Google Transparency Project teamed up with journalists at The Intercept to offer a preview of our White House Meetings and Revolving Door data projects. 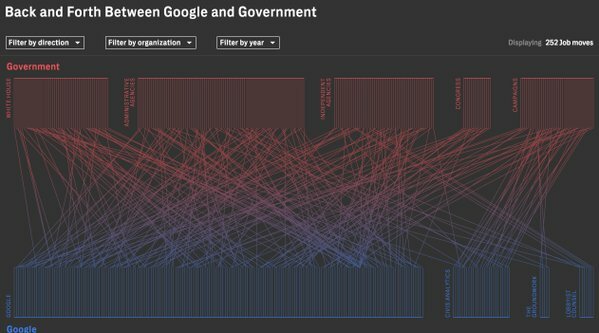 The story goes behind the data to explore the consequences of Google's unprecedented access to the White House and other government entities, detailing the extent to which the government relies on google for assistance with public infrastructure, monitoring natural disasters and advances the government's foreign policy interests. The story is accompanied by The Intercept's own visualizations of GTP data. Explore the data and read the story.